Radiation / X-ray Why is x-ray technology used in classic cars? 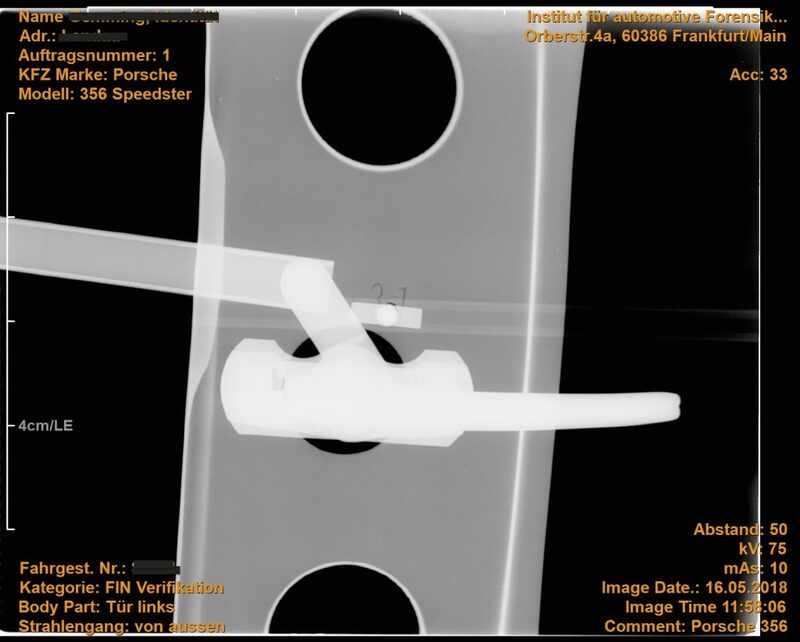 Because more is impossible … X-ray technology permeates almost everything. Depending on the radiation intensity and exposure time, the individual layers can be penetrated. Changes and manipulations can be seen so clearly. Occasionally, stamped numbers are altered or manipulated to disguise the identity of a vehicle. Sometimes you also look for numbers that are not visible. But you can also find and examine welds. The microstructure in detail can be visualized by an X-ray examination. If changes or welds have occurred, they can be made transparent by means of the radiation. The X-ray examination usually takes place when all other test methods have not have shown any success. 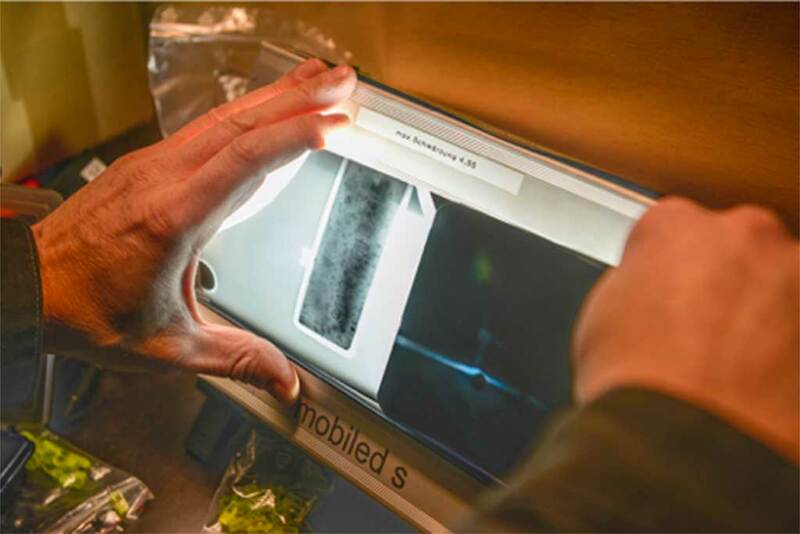 An examination for hidden numbers or numbers can be done with X-ray. 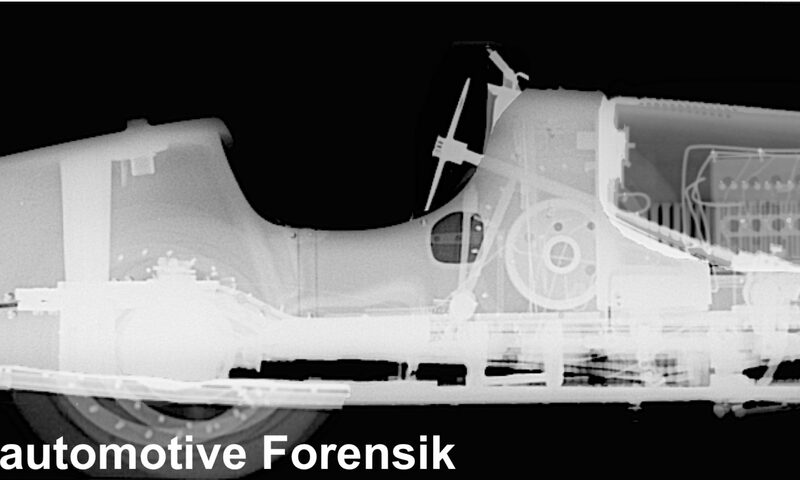 In many cases, this procedure has already helped in the search for a chassis number and the identification of vehicles.